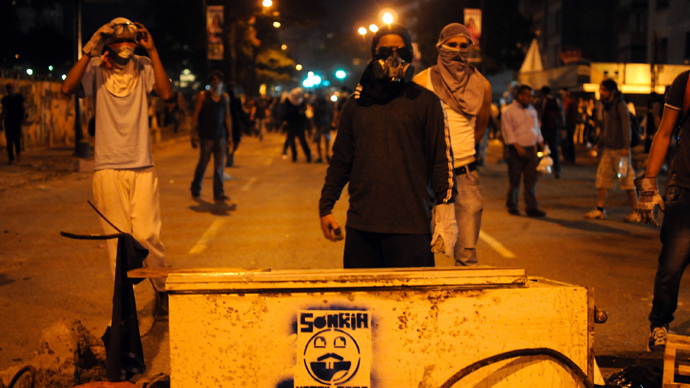 The death toll of the violent protests that have shaken Venezuela for the last month and a half has reached 39. To avoid “civil war”, the country’s Foreign Minister Elias Jaua has called for dialogue with the opposition. 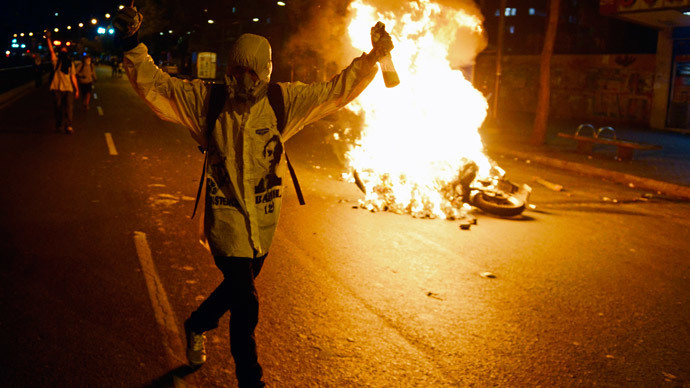 Clashes erupted once again in the Venezuelan capital on Monday night, as hooded activists erected barricades on the streets of Caracas, causing massive disruption. Protesters smashed shop windows and set fire to cars before the riot police arrived and dispersed them using tear gas and water cannons. Elsewhere in the west of Venezuela violence was reported in the cities of Maracaibo and San Cristobal, killing two people and bringing the total death toll in Venezuela to 39. One protester was electrocuted in San Cristobal while trying to reinforce a barricade, and another died in Maracaibo when a homemade explosive device detonated in his hands before he could throw it at police. Protests have been held throughout Venezuela for the past month and a half, with the population frustrated over inflation, mass power cuts and a lack of basic goods. The Venezuelan government claims that the largely peaceful protest movement has been hijacked by extremist, right-wing, political elements backed by the US, whose aim is to ouster President Nicolas Maduro. On Monday, the Venezuelan Foreign Minister Elias Jaua called for dialogue with the opposition to avoid the threat of civil war. He told the private channel, Globovision, that there was an element of the opposition loyal to the United States that is pushing for an armed conflict. 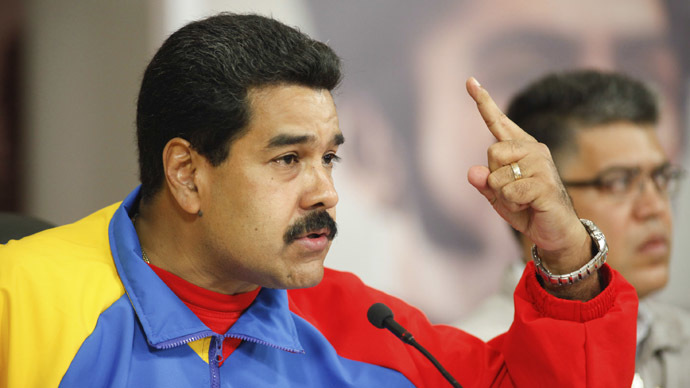 “The president has said: ‘let’s negotiate without conditions, without preconceived agendas to stop this irrational violence that has killed almost 40 men and women,’” said Jaua, adding the Venezuelan government is waiting for a gesture of goodwill from the opposition. 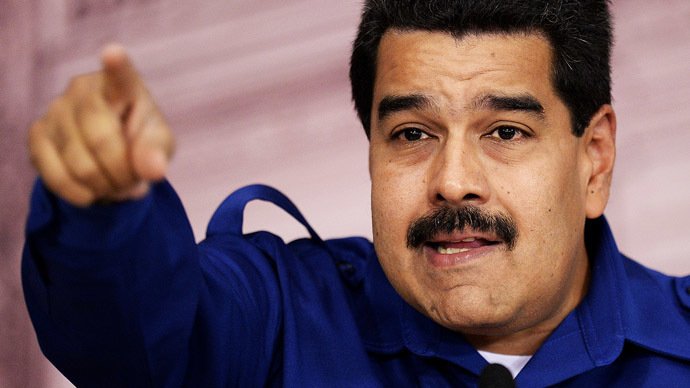 The US has denied any involvement in the mass protests in Venezuela and has accused Maduro’s government of using Washington as a scapegoat. Last week US Assistant Secretary of State Roberta Jacobson said that the US had not ruled out the possibility of imposing sanctions on the Latin American country. She said financial penalties could become an “important tool” in pressuring Maduro into negotiations with the opposition. 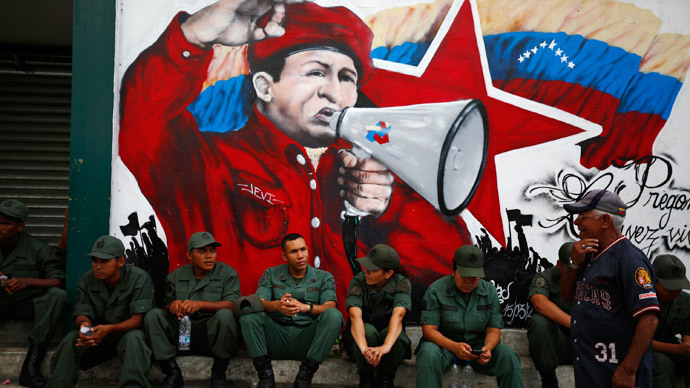 Venezuela’s Latin American neighbors have also rallied in support of Maduro’s government. Uruguayan President Jose Mujica told the press on Monday that the US should respect Venezuela and let it find its own way out of the current crisis.